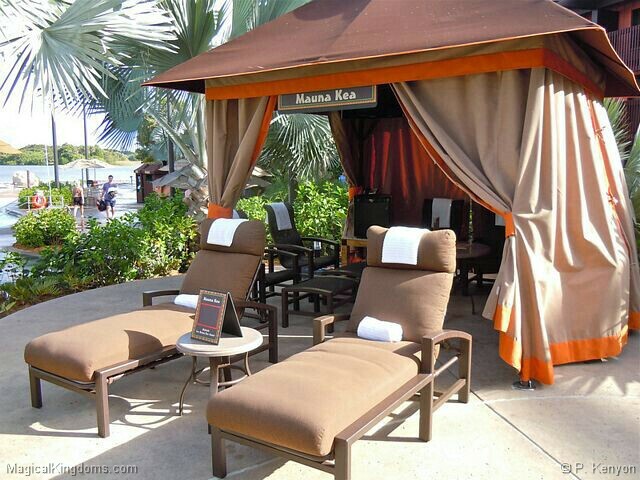 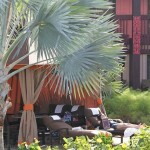 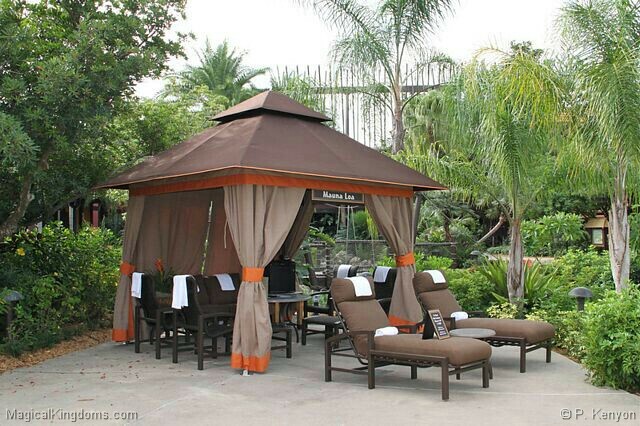 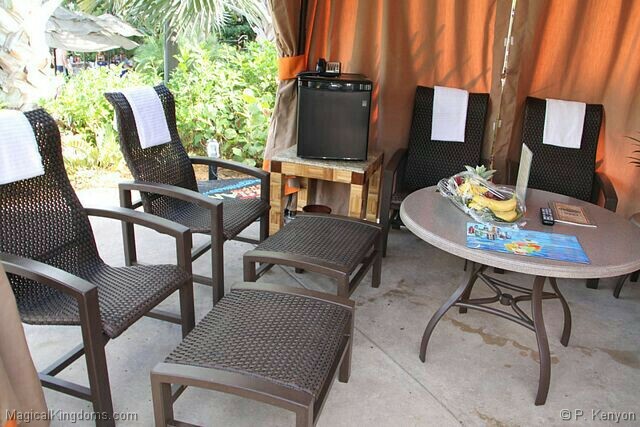 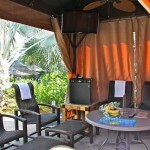 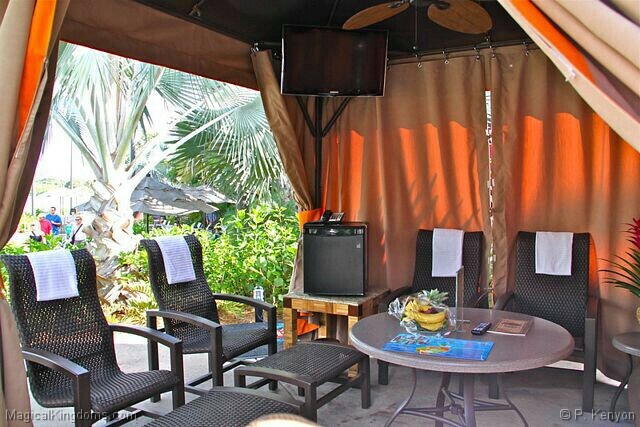 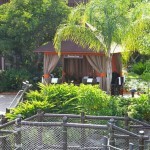 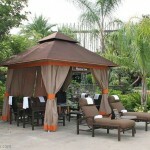 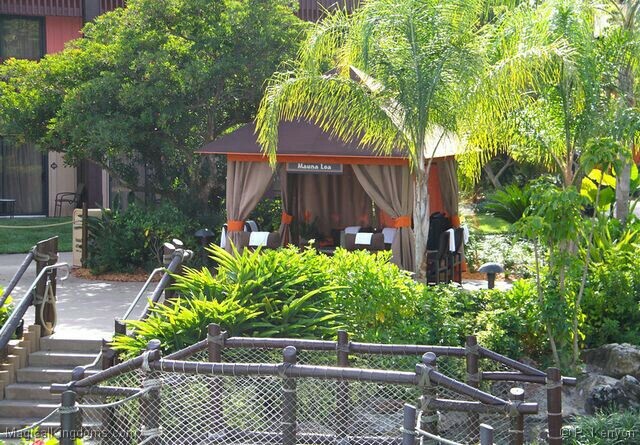 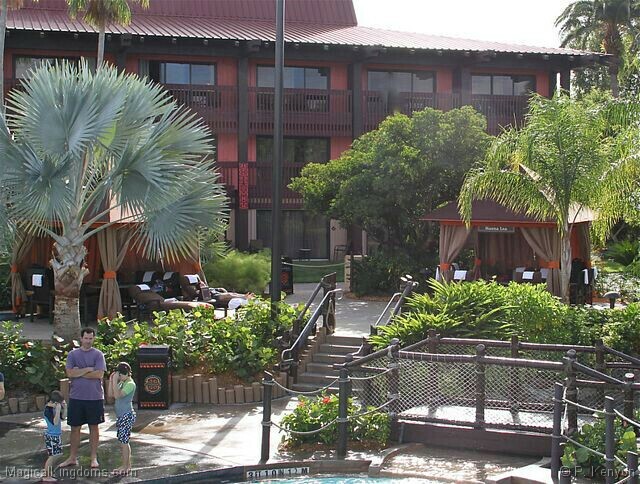 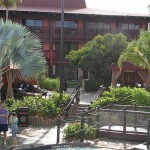 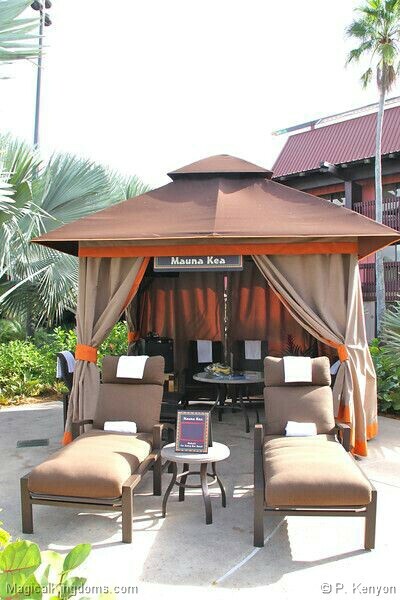 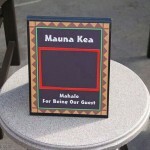 Guests staying at Disney’s Polynesian Resort can rent one of two private cabanas. 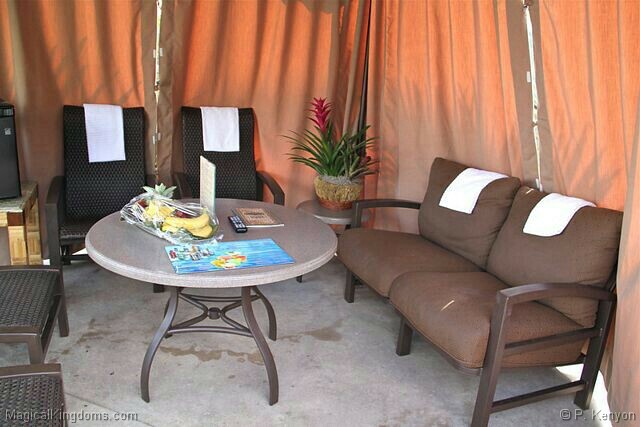 They’re great if you want to spend some time at the volcano pool, but want something more comfortable and private than the regular sun loungers. 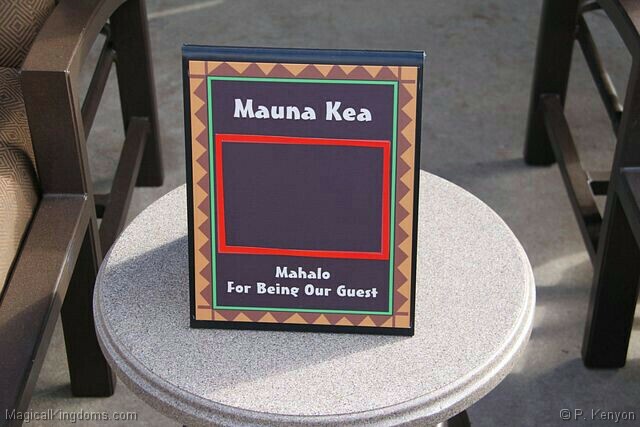 Prices are $110 (+ tax) for a half day, or $185 (+ tax) for a full day. 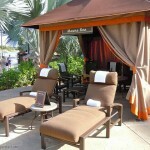 Half day rentals are 10 am – 2 pm, or 3 pm -7 pm. 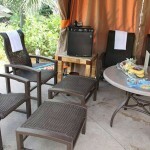 Full day rentals run from 10 am -7 pm. 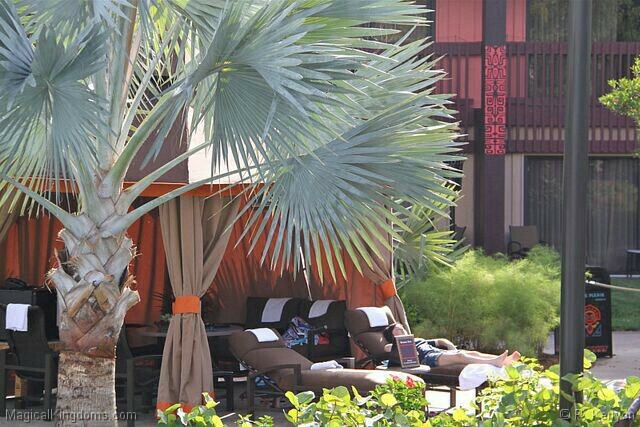 You can relax in comfort on the two padded sun loungers, a padded double seat, four chairs & two foot rests. 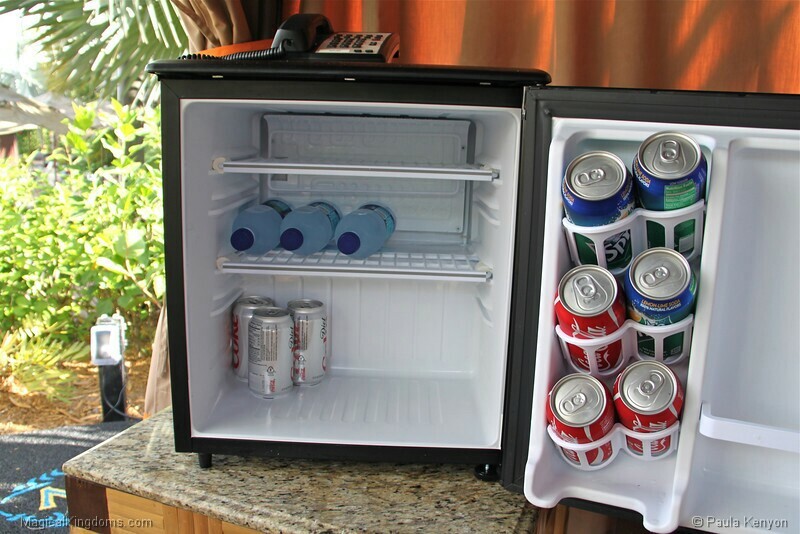 There is a mini fridge stocked with complimentary water and soda, and Cast Members check regularly if it needs restocking. 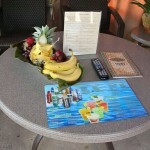 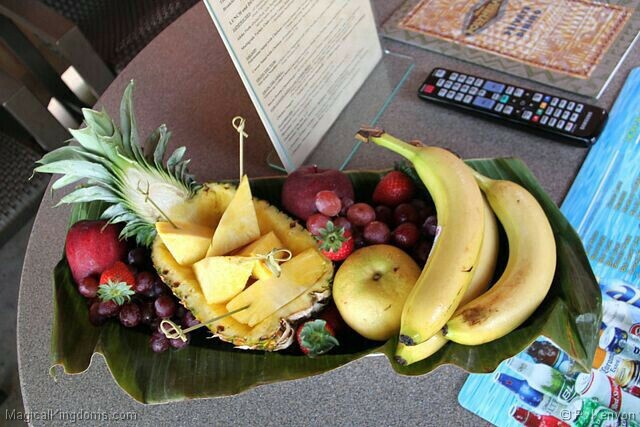 There’s also a complimentary basket of fruit, and plush towels are provided and replenished as necessary. 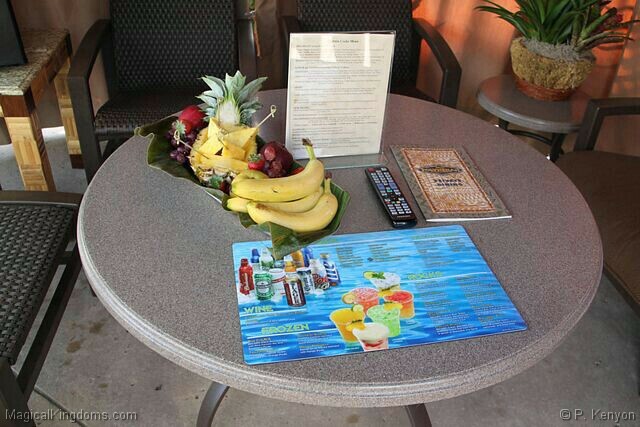 You can order “room service” using the phone (can be used for internal resort calls only), and a copy of the menu from Captain Cook’s is provided if you wish to go for your own snacks. 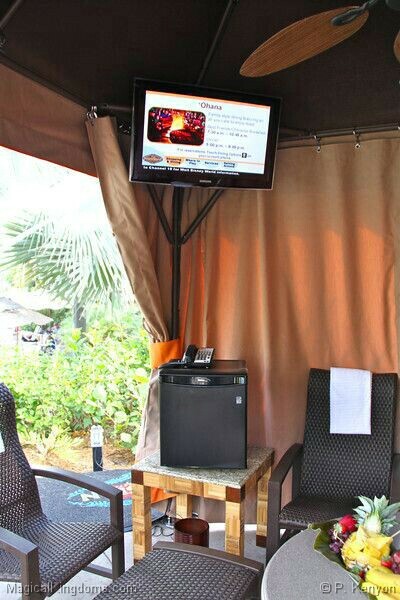 A 22″ LCD cable TV is mounted in the corner, and earphones are provided. 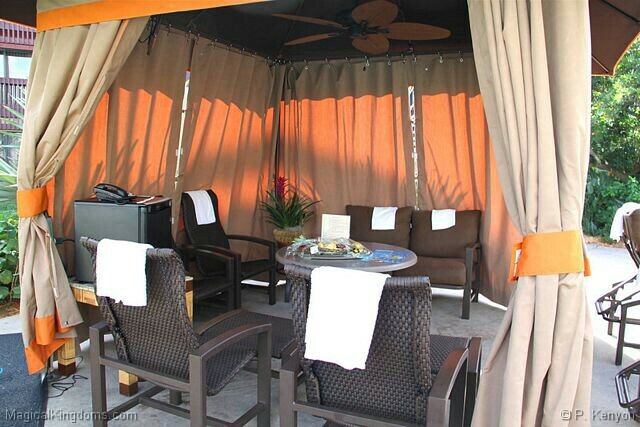 If it’s hot outside you can keep cool using the ceiling mounted fan.